Lord Raj Loomba CBE is Founder and Chairman of the Loomba Foundation, a UN accreditated global charitable organisation, which promotes the fundamental freedoms and human rights of widows and their children around the world. He is widely known today as the Pioneer of Widows’ Rights and Instigator of International Widows Day. Lord Loomba was invited by the Chief Minister of Punjab as State Guest on the Republic Day, 26th January, 2015 and awarded the highest and prestigious award – Praman Patra. Lord Loomba received Non Resident of India Award, Pravasi Samaan Patra, from the President of India on 9th January, 2015 for his social services and philanthropy. United Nations New York Association conferred the Humanitarian Lifetime Achievement Award on Lord Loomba on UN Day 2014 in New York. UN Women named Lord Loomba as the first Founding Champion of the circle of Widows Rights in June 2013. Lord Loomba was elevated to the House of Lords as a Liberal Democrat Life Peer in 2011. Lord Loomba received a CBE Excellence of Commander of British Empire) from Her Majesty Queen Elizabeth in her Birthday’s Honour List in 2008. 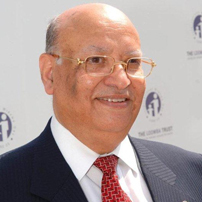 Lord Loomba’s campaigning achievements are founded on his successful business career as Founder of Rinku Group, a fashion and clothing company, of which he is Executive Chairman. On May 11, 2016 Lord Loomba was invited to attend the UN Ambassadors luncheon as Guest of Honour and Keynote Speaker which was hosted by the Hospitality Committee of the United Nations Delegates in New York.